We posted an article about a cool hotel in Tokyo a few days back, and today we would like to share some information about another outstanding hotel. 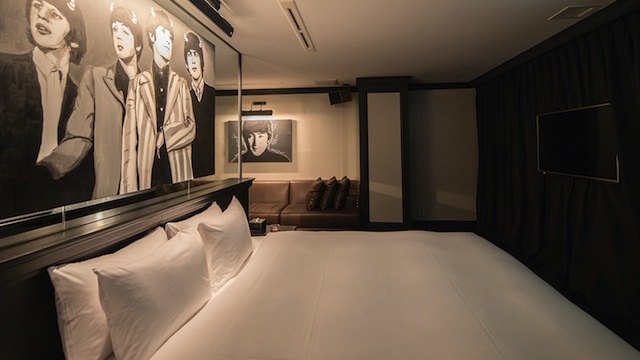 Rock Star Hotel, located in a convenient area of Osaka, is also extremely cool! 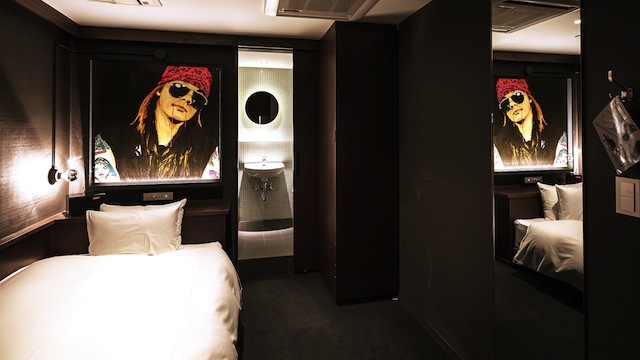 There are 14 single rooms, 2 junior suite rooms, and 1 suite room, and each room features a particular rock star/band theme. The suite room might sound way too expensive to stay in, but the price of their junior suites starts from only ¥15,000 (US$142.70). Rock Star Hotel itself is a newly arrived venture, but the building itself has been around a while. Architects and designers fully renovated an old, sad-looking building and turned it into an impressive hotel! This hotel is not Japan-themed, but it must be more than worth staying there when you visit Japan. 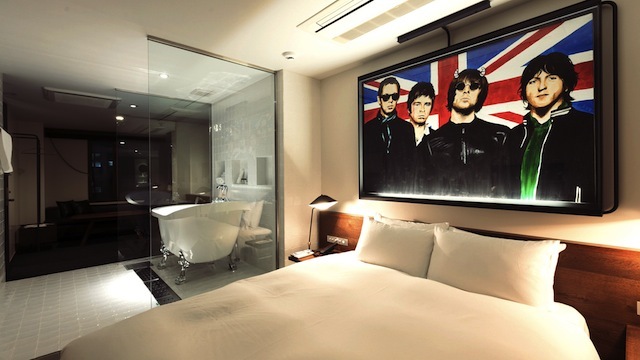 I’ll show you some of their rooms.